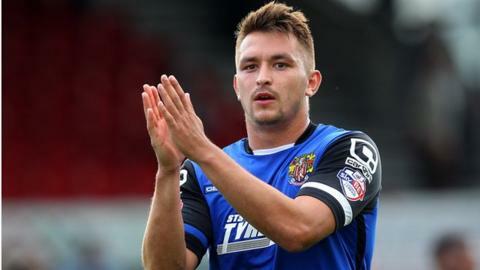 Forest Green Rovers have signed Stevenage striker Brett Williams on loan until the beginning of January. The 27-year-old has made 17 appearances for the League Two side this season. Williams joins a Rovers side who are unbeaten in their last six matches and only one point behind National League leaders Cheltenham Town. Darren Carter rescued a point for Adrian Pennock's side against Cheltenham on Saturday. Williams is expected to make his first appearance for his new club against Bristol City in the Gloucestershire Senior Cup on Monday.